This page includes new Yosemite Valley images taken in late 2018 and early 2019. This is a work in progress—more images will be added soon, and some of my favorites will be among those added in the near future. 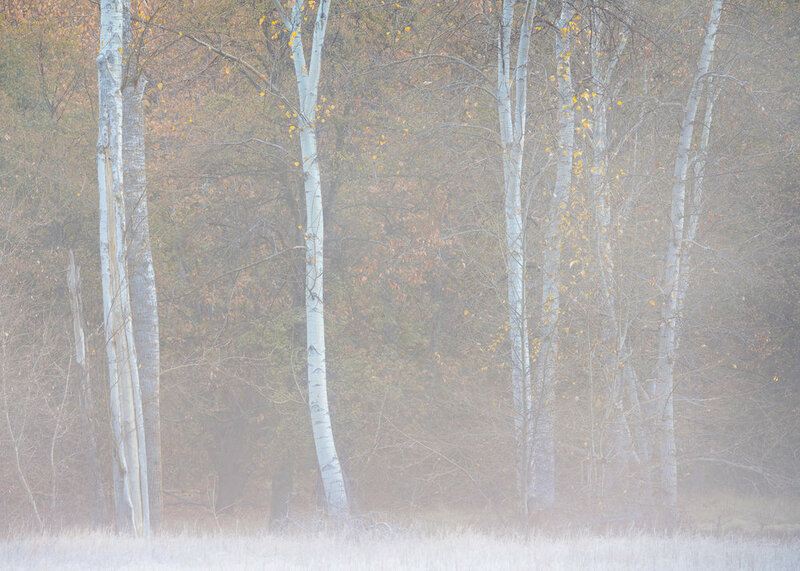 A journal post describes the fall images and an forthcoming post will tell the story behind the winter images. 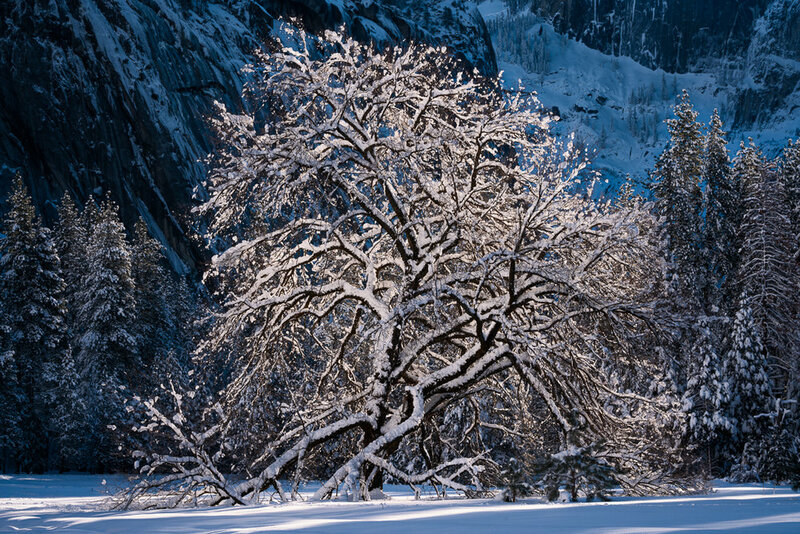 Thank you for viewing my latest work from Yosemite Valley! 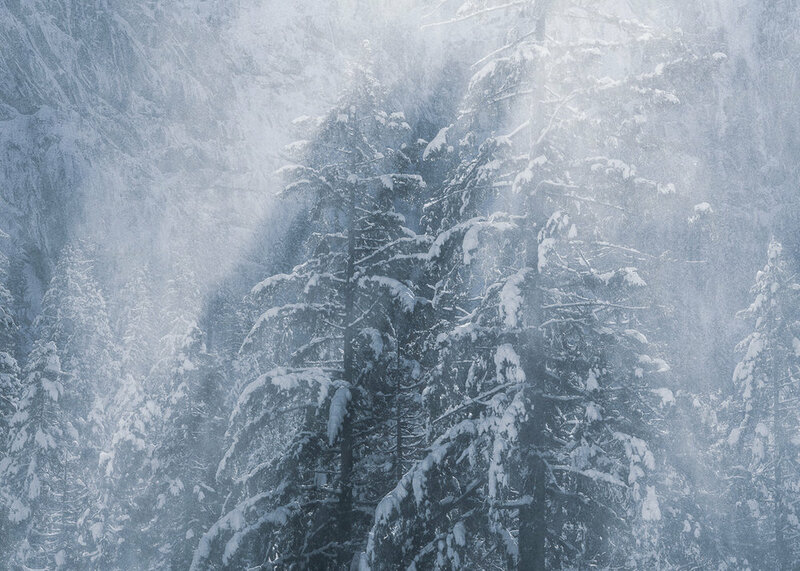 Spirits of the Forest — Afternoon sun striking heavy snow on the branches of these Black Oaks produced quite a show, sending curtains of backlight powder to the ground. State of Grace — The famous and final Elm tree from the original mid-19th Century planting in Cook’s Meadow, resplendent in the first light of morning after a heavy snowfall. 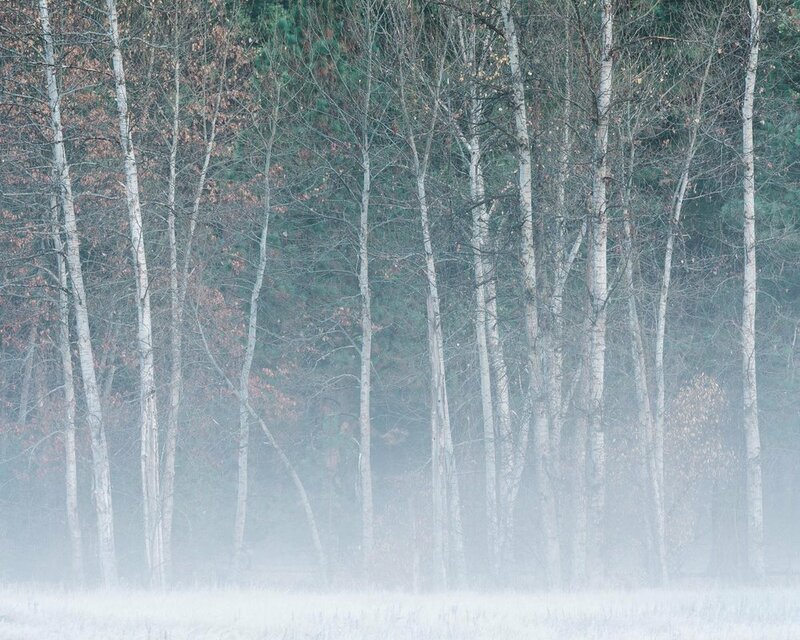 Powdered Black Oaks —See if you can spot the lone figure in the forest just behind the trees.